Christmas is a time for going to church, giving gifts, family gatherings, parties, and foods! Whenever we hear the word Christmas, a good feast of foods automatically come to our minds. Every country has their own special menu for Christmas, so as a Filipino, I will share to you the common foods Filipinos eat during Christmas. Filipinos have an unconditional love with foods. Celebrations wouldn't be complete without foods, most especially on Christmas. It's a norm for Filipino families to gather during Christmas and savor over Christmas foods while sharing stories and catching up with each other's lives. Most Filipinos live an average life, so we stay thrifty and practical with our choices and expenses most of the time. However, big holidays like Christmas and New Year are exception. We make sure that we enjoy these holidays which is through, of course, foods! Even though there are lots of Western and other Asian foods conveniently available on the market, Filipinos still have instilled the practice of preparing Filipino foods during the holidays. Hamon or ham is Filipinos' star of Noche Buena or Christmas Eve. The hamon is a pineapple glazed ham with its meat shaped into a circle. It's tender meat and sweet but slightly sour sauce is what makes it special. Christmas hams are eaten by people around the world but the hams slightly differ in every nation. Philippines' Christmas ham tastes sweeter to suit the Filipinos' palate. Hamon can be bought in groceries and some restaurants, or you can make your own. (If you are confident with your cooking skills.) For several years, we've been buying the cheaper hams sold in the groceries. But since last year, my mother would order our hamon at a restaurant owned by her classmate during high school. It tastes more delicious than the ones sold in groceries. My mother also told me that she used to cook homemade hamon before but she could no longer do it because it's tiresome and takes long to prepare. Queso de bola (cheese ball) never fails to attract my attention because of its perfect circular shape and shiny bright red color. This ball of cheese is also called Edam cheese, a semi-hard cheese coated with red paraffin wax. This type of cheese originated in Netherlands. 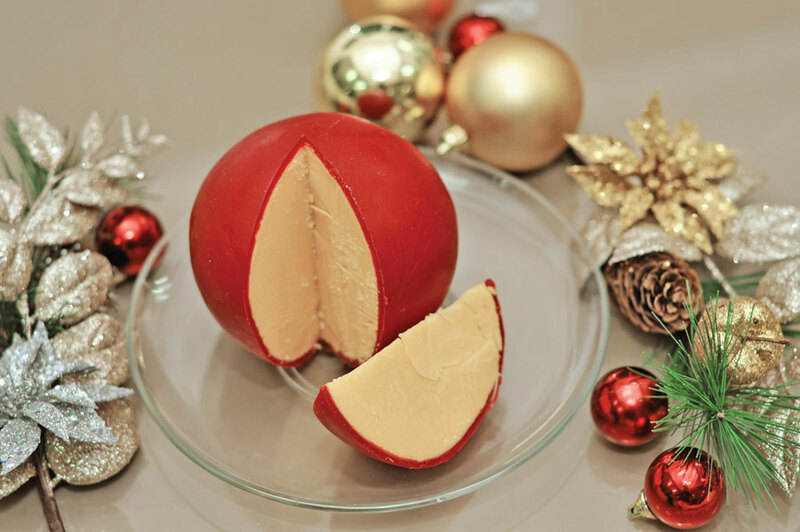 Aside from the hamon, the queso de bola is also a symbol for Christmas Eve celebration in the Philippines. It can be eaten as it is, alongside the hamon, or with bread. The cheese tastes a bit more salty than a cheddar cheese. We don't usually buy queso de bola even though the appearance of it really looks enticing. In my entire existence, I have only tastes the cheese once which was 2 years ago, I guess. Since it was my first time and nobody told me how to eat it, I ate everything. Yes, I ate some of the red wax too! (Lol) Lucky, the wax is also edible, else, I could've ended up in the emergency room on Christmas Eve. 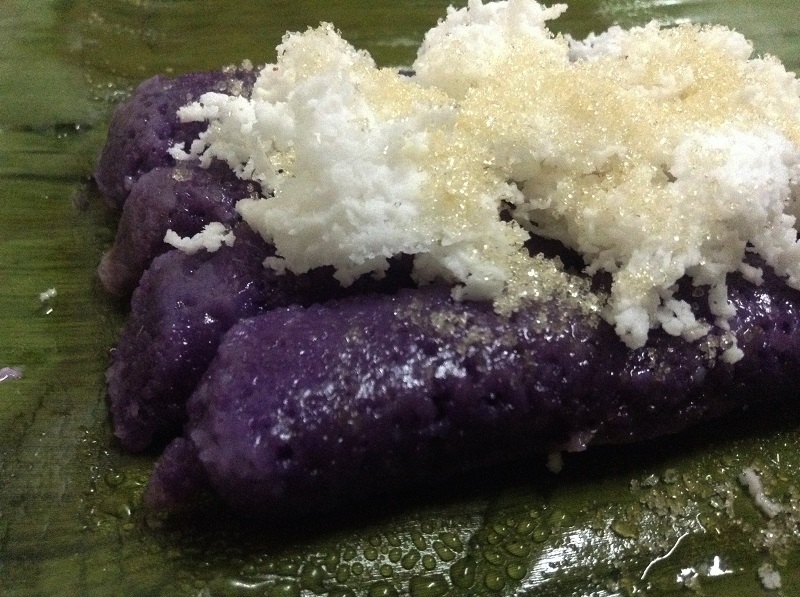 Puto bumbong is a Filipino delicacy made from glutinous rice. What makes it distinct is its violet color. It is cooked through steaming in a bamboo then topped with grated fresh coconut, brown sugar, and butter. The puto bumbong is served on a banana leaf and is a very popular food during Simbang Gabi (Night Mass) and Christmas Eve. It's shameful but I think I still haven't eaten a puto bumbong. We don't attend the Night Mass nor visit food strips so we really don't get the chance to buy one. My mother and I have been searching for this delicacy a few weeks ago but we always fail finding it. One nearby mall currently has a food bazaar on its parking area and we're hoping that we could buy from there until New Year. 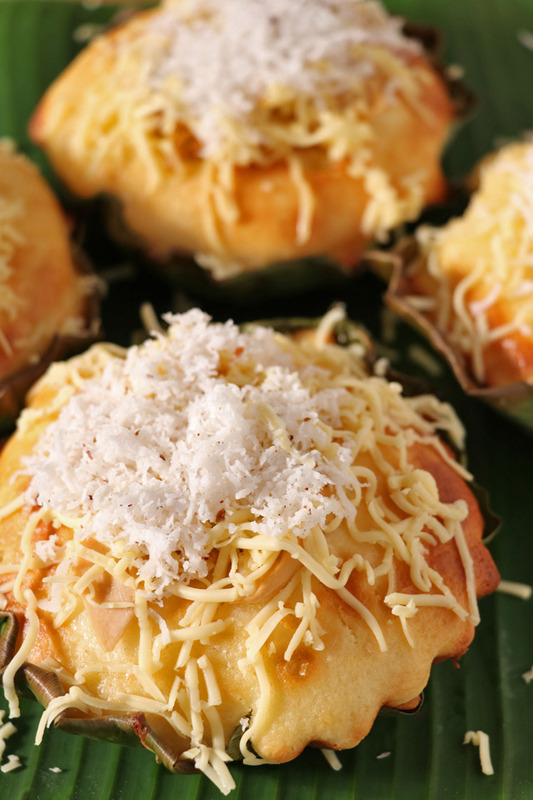 Bibingka is a baked rice cake made of coconut milk, glutinous rice, salted egg, margarine, cheese, and grated coconut. It is cooked on a clay pot lined with banana leaf. This Filipino delicacy is sold throughout the year and also a popular food during Christmas season especially on Simbang Gabi. Bibingka is one of my favorite Filipino rice cake. It's shaped like a hotcake but a little smaller in size. 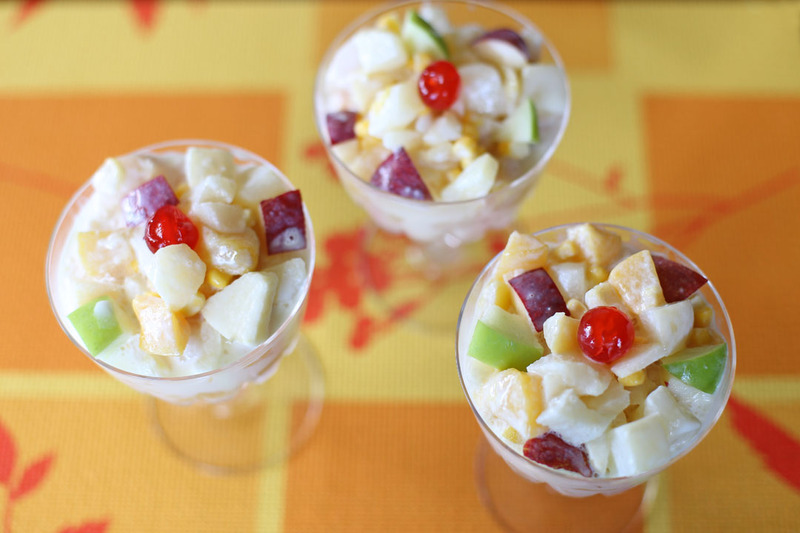 Another popular dessert on a Filipino table during Christmas is salad. The most popular salads on Christmas are fruit and macaroni salad. Other salads served during Christmas are vegetable salad, buko pandan salad, chicken salad, etc. I personally love buko pandan salad because it has shredded young coconut and pinipig (pounded rice flakes).The pinipig is optional. I also like fruit salad and macaroni salad but I don't like eating it sometimes because pineapple on salads is not my favorite. I don't like the taste of raisins as well. Spring roll or "lumpia" is a staple food on every celebration in the Philippines. 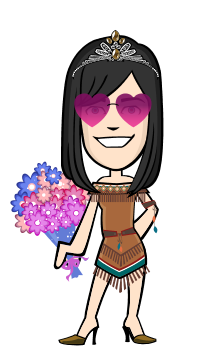 Birthday, wedding, graduation, Christmas, and more! The spring roll filling is usually made of ground pork and vegetables. It's easy to prepare and make lots of it which is good when you have lots of guests to feed. The most common dip for spring rolls are ketchup and sweet & sour sauce. Pasta is probably the most popular dish on every Filipino celebration. The most popular is the spaghetti, in sweet Filipino-style. We're probably the only country who adds chopped hot dogs on spaghetti. The spaghetti is very easy to cook and its red-colored sauce looks attractive and makes the table look lively. It is a safe choice on your menu because most Filipinos love spaghetti, especially children. Another favorite is the carbonara. Even though Western-style pasta are popular, Filipino-style noodles ("pancit" in Filipino) are equally popular as well. 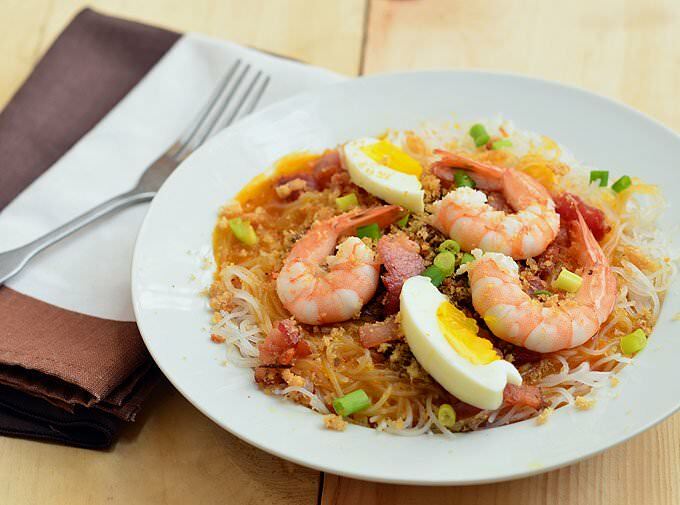 Some of the common Filipino noodles during celebrations are "pancit bihon" and "pacit palabok". The pancit bihon is a stir-fry noodle topped with vegetables and meat. Meanwhile, pancit palabok is made of thin rice noodles with a thick yellow to orange shrimp sauce. The dish is topped with egg, green onion, shrimp, ground pork chicharon, smoked fish flaskes, fried garlic, and other toppings one would wish to add. Filipinos eat all these pastas and noodles any day of the year but they are also perfect during special occasions like Christmas. "Lechon / Lechon baboy" or roasted pig is one of the most popular and favorite Filipino dish on all occasions. 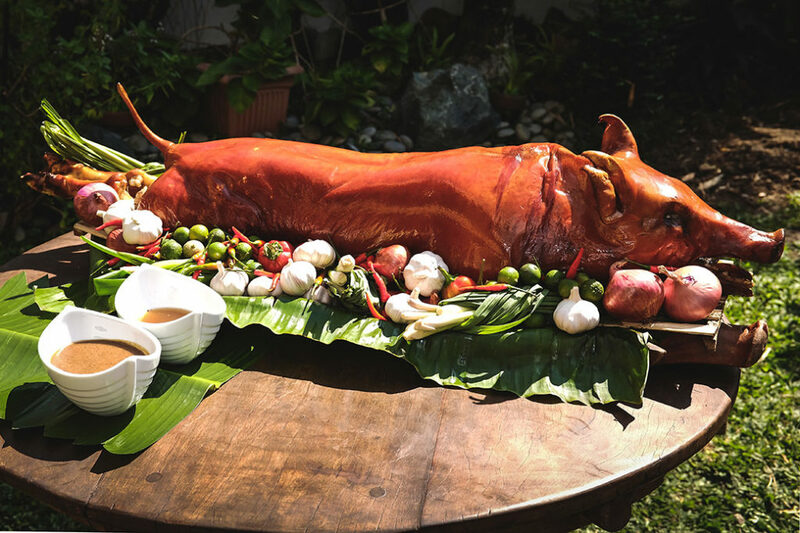 There is also roasted chicken or "lechon manok" which is also popular during celebrations, but lechon baboy is the more popular and sought after one. The lechon baboy can be bought in small servings or as a whole. A whole roasted pig is served when there are lots of guests. It is very popular because of its savory meat, soft fat, and crunchy skin. Both lechon manok and lechon baboy have a similar gravy, or "sarsa" in Filipino, which is almost similar to a fried chicken gravy of fast food restaurants. They say the best lechon is at Cebu. A SUMPTUOUS FILIPINO CHRISTMAS FEAST! Christmas foods and the Noche Buena is the most-awaited part of Christmas, and having a delicious feast of your country's own special dishes and delicacies is the nicest way to celebrate and welcome Jesus Christ's birth. Foods during holidays undeniably tastes yummy and difficult to resist, so there will be tendencies that we overeat. No matter how enticing the foods are, I hope we don't forget to eat in moderation to avoid putting our health at risk.